This regional project will create Smart City Innovation Centres in three Southern Mediterranean cities, namely Fes in Morocco, Tunis in Tunisia and Alexandria in Egypt, replicating the successful experience of the Nice Smart City Innovation Centre in France, with a view to developing smart urban services, and ultimately improving the quality of life of the citizens of the beneficiary cities. A Smart City Innovation Centre is a platform involving municipalities and other local authorities, research and academic institutions, as well as leading smart city-related companies, allowing them to exchange knowledge and pool data in a single location, thereby multiplying opportunities to develop smart urban services and solutions, thus contributing to their practical implementation and helping cities improve their quality of life. The project proposes to replicate the successful experience of the Nice Smart City Innovation Centre existing in France, in three southern Mediterranean territories, namely Fes in Morocco, Tunis in Tunisia, and Alexandria in Egypt, in accordance with the specific environment and socio-economic needs of each participating country. It will benefit around 7 Million inhabitants of the 3 afore-mentioned cities, while indirect beneficiaries include 9 research and academic institutions and 30 private and public SMEs. Project partners consist of the Metropolis Nice Côte d’Azur Smart City Innovation Centre in France, the Euro-Mediterranean Network of Universities (EMUNI) based in Slovenia, the Euro-Mediterranean University of Fez in Morocco and the Groupe Inter-académique pour le Développement, France. The project, which is foreseen to start in the 2nd semester of 2018, has a duration of 15 months and a total cost of 1 M €, 20% of which has already been secured as a contribution by the promoter. Potential donors have been initially identified (UN agencies and national development agencies) to cover the remaining amount through grants. The project is in line with the UfM Urban Agenda, which was adopted by the second UfM Ministerial Conference on Sustainable Urban Development held in Cairo in May last year, and builds upon the national strategies of the countries concerned, with respect to the promotion of sustainable urban development and the implementation of their digital economy agendas, in particular through the “smart city” approach. It is also fully in line with the UfM Roadmap objectives, and contributes to addressing the UN Sustainable Development Goals, in particular but not limited to SDG 11 on making cities inclusive, safe, resilient and sustainable. Capitalising on the results of this 1st pilot phase, the project foresees a 2nd phase aimed at creating a Network of Euro-Mediterranean Smart City Innovation Centres, comprised of tandems between Northern and Southern Mediterranean cities, fostering greater knowledge exchange between both shores of the Mediterranean, and advancing regional integration. 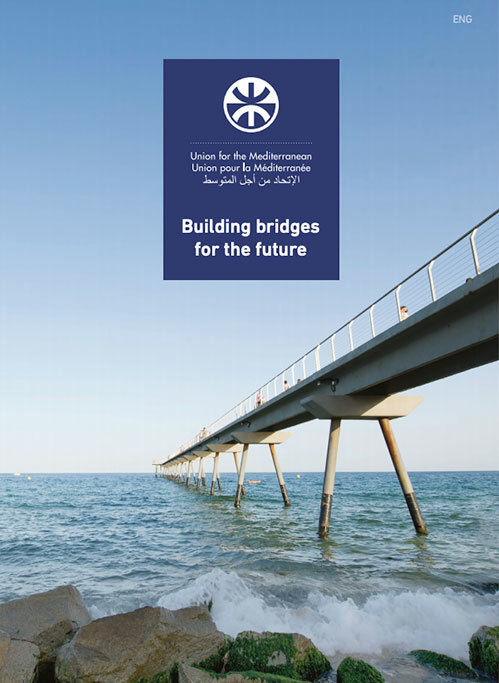 In the aftermath, the project is expected to be replicated across the region, creating new tandems between Southern and Northern Mediterranean cities, encouraging further regional integration. 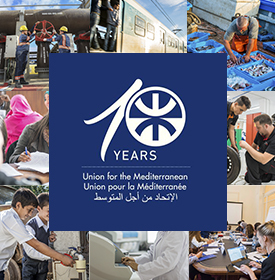 The Euromed Cities Network aims to develop partnerships and projects that promote peace and economic development and support cooperative project engineering among its members and helps raise the corresponding finance. The Network consists of cities in Europe and on the northern, southern and eastern shores of the Mediterranean basin, together with a number of other partners. It currently includes 150 cities across 27 countries in Africa (Algeria, Egypt, Morocco, Mauritania, Senegal and Tunisia), Asia (Israel, Jordan, Lebanon, Syria, Palestine and Turkey) and Europe (Albania, Germany, Belgium, Cyprus, Spain, France, Greece, Italy, Malta, Montenegro, the Netherlands, Poland, Portugal, Romania and the United Kingdom).